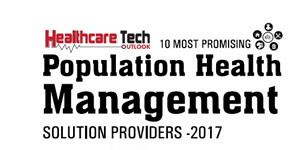 “Regardless of the millions of dollars already invested in data exchange, analytics, and business intelligence technology by healthcare organizations, inefficiencies still persist in the delivery of the right clinical intelligence (also known as data) at the right time, which is hindering effective care coordination and patient engagement,” reveals Eric Smith, Vice President of Population Health Management (PHM) for Pursuit Healthcare Advisors (Pursuit). While most healthcare executives agree that the path to financial growth is directly linked to an organization’s ability to proactively manage its population’s health, many organizations are still burdened by the “Big Data” conundrum. Headquartered in Fort Washington, PA, Pursuit assists organizations meet their objectives by leveraging the clinical data assets which fortify long term financial sustainability. Pursuit’s PHM services help ensure that the required building blocks of an organization’s PHM Program are in the right place and that their program is aligned to deliver the objectives— ultimately lowering the overall cost of healthcare services while maintaining quality outcomes. Care delivery teams today have begun to recognize the benefits of Health Information Technology (HIT). While Health Information Exchanges (HIE) and Pop Health platforms are designed to facilitate the move of healthcare delivery from a costly fee-for-service model to value-based payment models, Accountable Care Organizations (ACOs) and other physician centered organizations are challenged with implementing an integrated/interoperable system that supports newer programs. Pursuit offers proven methodology based implementation services so that the ACOs and practitioners can compete within a Risked Based program. “We connect caregivers and patients in such a way that it facilitates better health outcomes and a more coordinated delivery of care,” says Smith. Pursuit’s Project Management Office (PMO) service solution ProVantedge, Smith describes as the "cornerstone of our Program and Project Management offering.” Pursuit is certified as a Registered Education Provider (R.E.P.) by the Project Management Institute (PMI), this certification is a testament to Pursuit’s proven methodology to drive complex programs to completion—enabling organizations to meet their strategic, clinical, and financial objectives. One of Pursuit’s clients, a large healthcare vendor organization with several thousand customers was struggling to take advantage of their investment in their HIE platform. Pursuit leveraged its ProVantedge Methodology to assist them with eleven specific initiatives all dependent on streamlined and repeatable process to ensure predictable implementations, cost effective upgrades, use of resources, and innovated approaches to connect its platform to disparate EHRs deployed throughout their customers’ physician practices. The customer estimated a potential $20M in savings over a four-year period if each of the eleven initiatives met its process and financial objectives. At the end of the Pursuit engagement, year one cost savings were estimated to be over $3.5M.